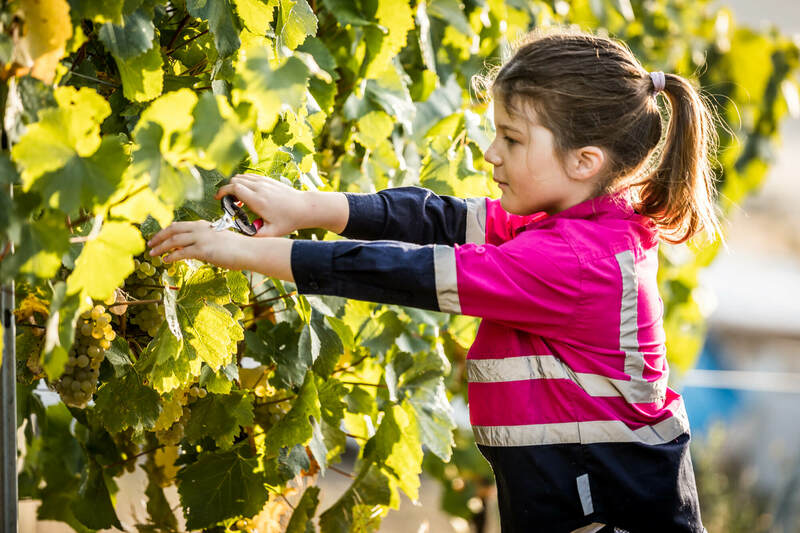 In the back paddock of the Bresnehan’s family farm, just outside of Campania, grow Chardonnay and Pinot Noir grape vines. 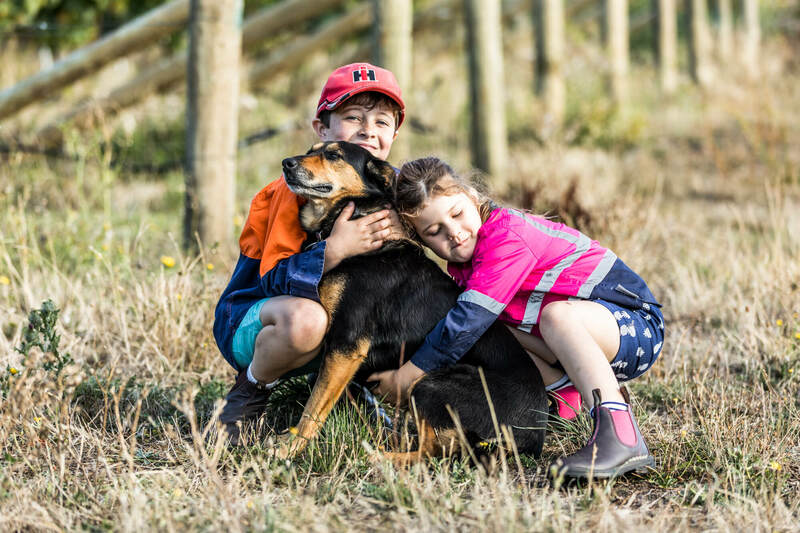 The farm is a hands-on family endeavour, helmed by James and Vanessa with willing help from their kids Harry and Sadie, as well as their faithful wine-dogs Katie and Meg. 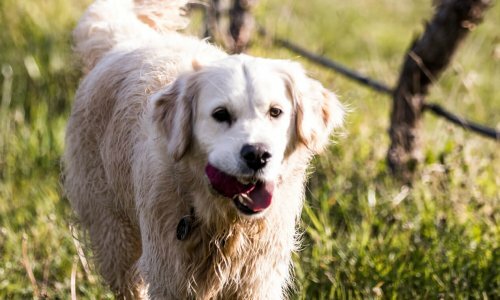 Originally two hectares of Chardonnay and a small block of Pinot vines had been established by the previous owner. 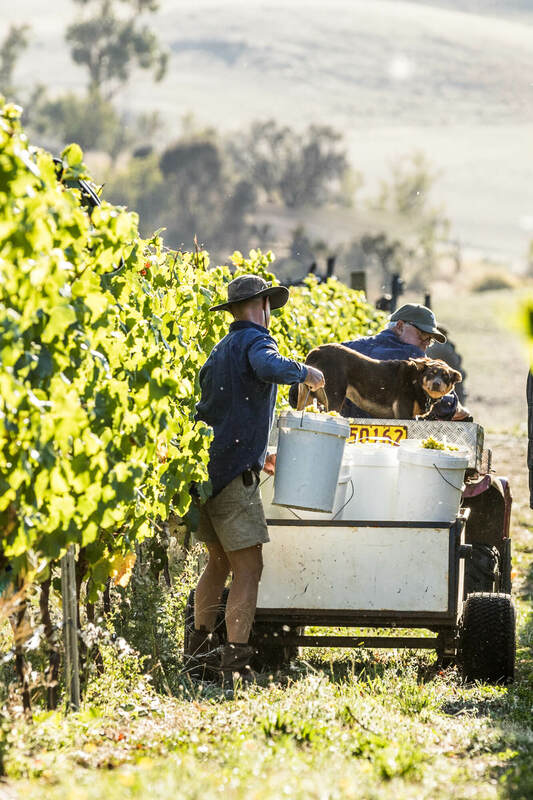 In 2009 the Bresnehan family purchased the property and added 3 more hectares of mostly Pinot vines to the mix. 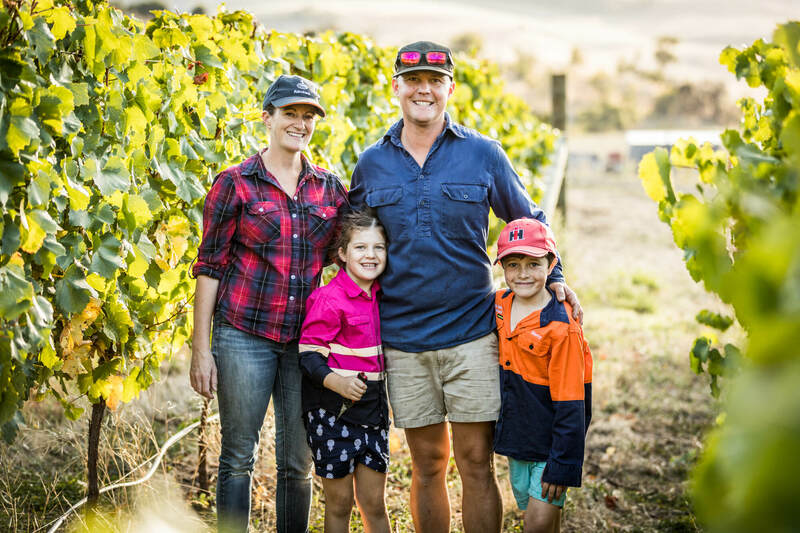 Since then they have been establishing their own label, Back Paddock Vineyard, and having their wine made locally off-site. 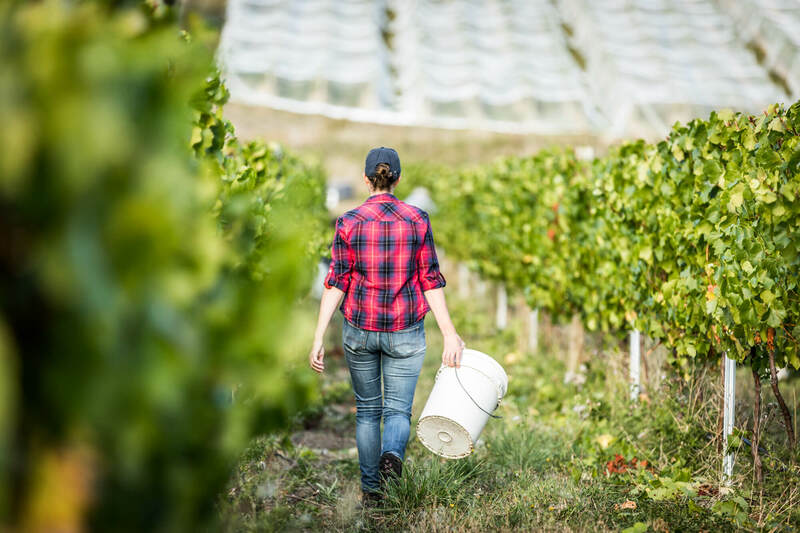 For the 2018 harvest James and Vanessa are stepping up and taking an even more hands-on (or feet-in, as it were) approach and making wine themselves with a little help from some friends right here in the valley. We can’t wait to taste the end result! 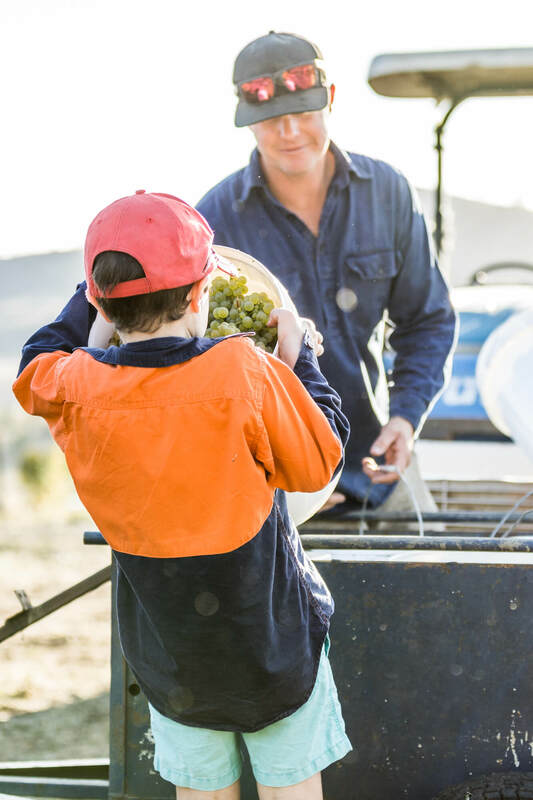 You can find Back Paddock wine stocked in various Hobart restaurants and bottle shops, so keep and eye out for it, and check our Field Notes below for some pointers. 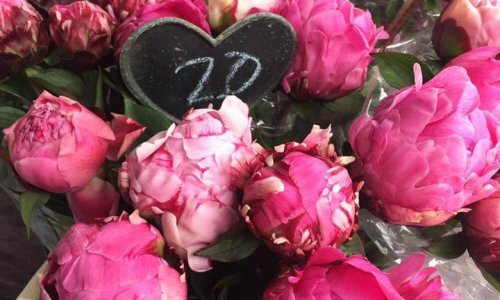 You can also buy online here. 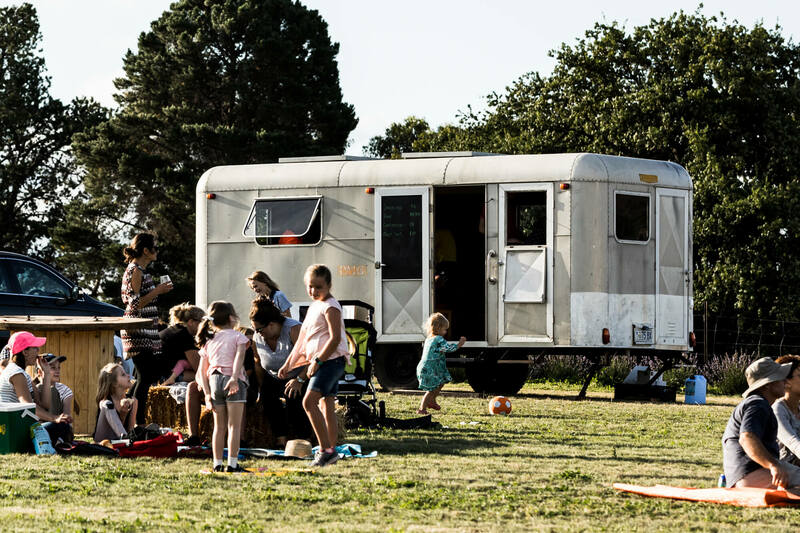 Of course, the best way to get to know Back Paddock and the family behind it is to see them in their Post Master General van at events like the Open Vineyard Weekend in March, and Richmond Christmas Tree Farm in December. The van is brilliant! It has a bar and heaps of seating inside with bar stools, and great company of course. The best way to find out about the Post Master General’s where-abouts is to follow Back Paddock on Facebook or Instagram. 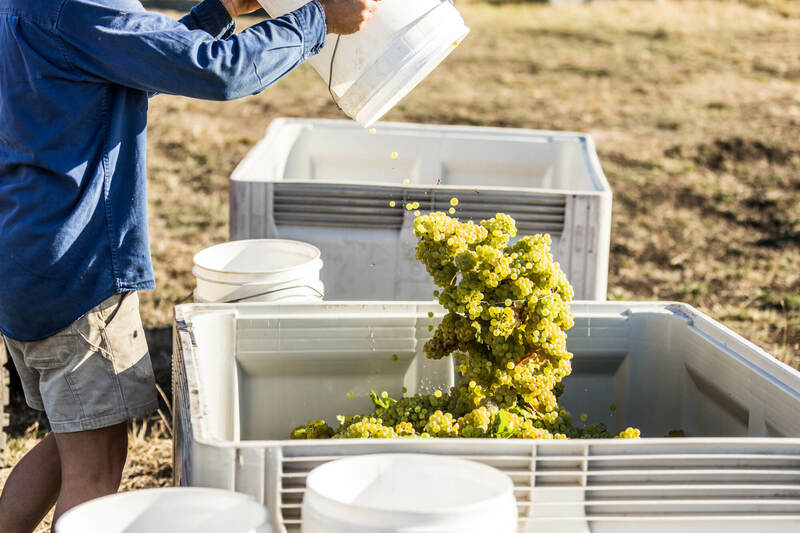 We had the privilege of heading out to Back Paddock in the middle of their 2018 harvest to take some photos and chat about their wines. 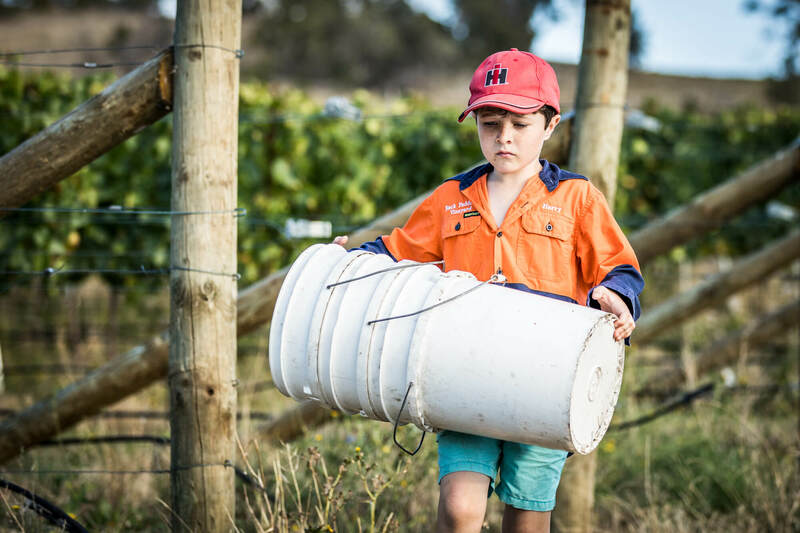 We loved seeing the Bresnehan kids muck in with the snips and buckets – the future of wine in Tasmania in the making! 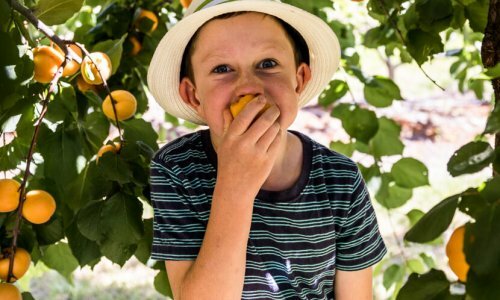 You can buy directly from the Back Paddock website here. A few times a year Back Paddock take their Post Master General van to events, and the best way to find out where they are is to follow them on Facebook and Instagram. 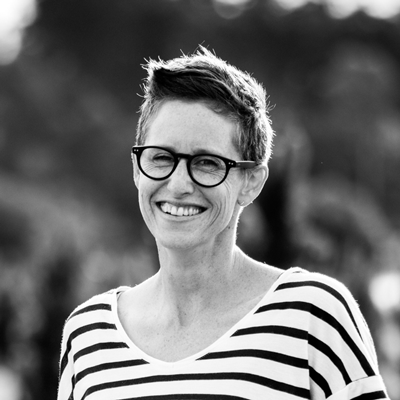 Currently, you can also find their wines at Cool Wines in Hobart, Stone & Barrow in Richmond, Celebrations in Cambridge Park, and Willing Brothers in North Hobart. 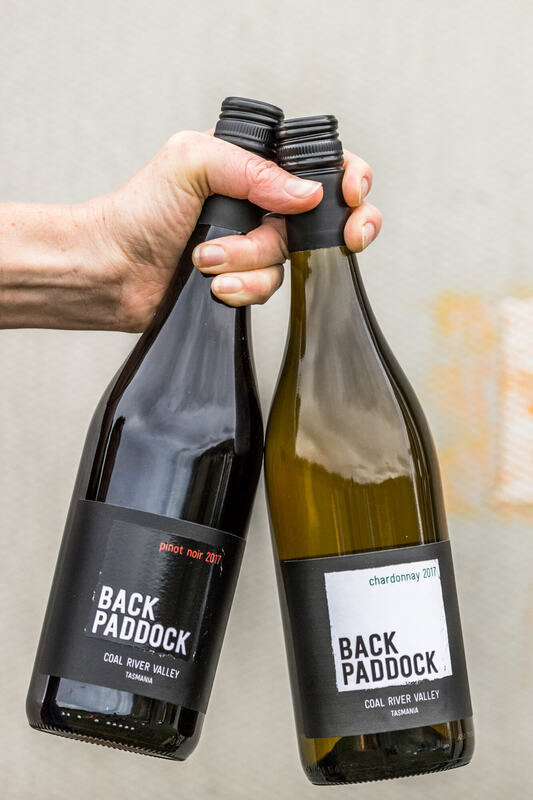 And if you happen to be at Sapphire Freycinet or Henry Jones on the Hobart Water front in the near future, you may find Back Paddock on the wine list. This vintage the Bresnehan’s are getting more hands on that past years with their wine making, see James in up to his knees in the process here.